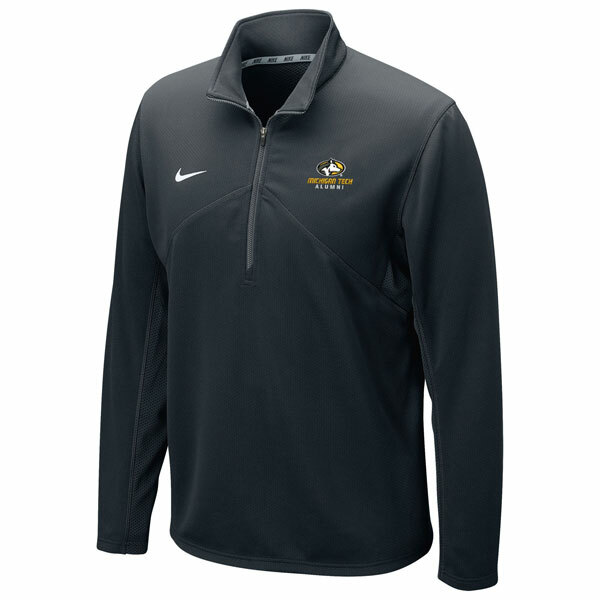 #12HH NIKE 1/4 ZIP WITH THE OVAL LOGO OVER MICHIGAN TECH ALUMNI. THIS ITEM INCLUDES NIKE'S DRY-FIT TECHNOLOGY TO MOVE SWEAT AWAY FROM YOUR SKIN FOR QUICKER EVAPOATION. MADE WITH 100% POLYESTER. MACHINE WASH COLD AND TUMBLE DRY LOW.